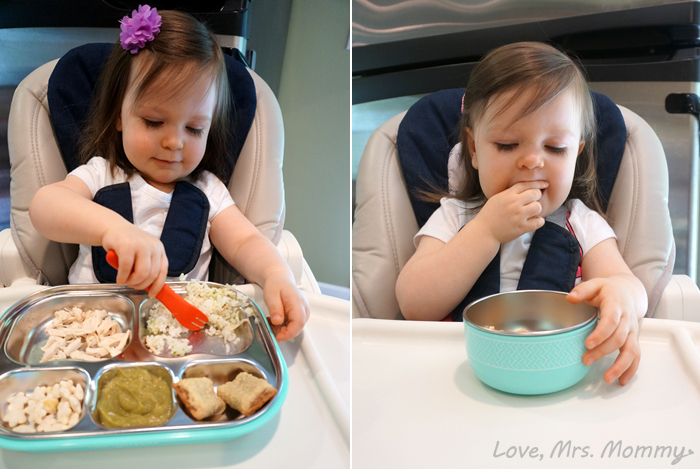 Love, Mrs. Mommy: Kangovou Has Quality Kid’s Dishware that is Perfect For Home or Travel! Kangovou Has Quality Kid’s Dishware that is Perfect For Home or Travel! With all the press about BPA and other harmful chemicals in our children’s dishware, it’s hard to know sometimes what’s safe and what’s not. That’s why I love Kangovou! All their products are safe to use and I am honored to partner with them to tell you all about their beautiful line of dishware. 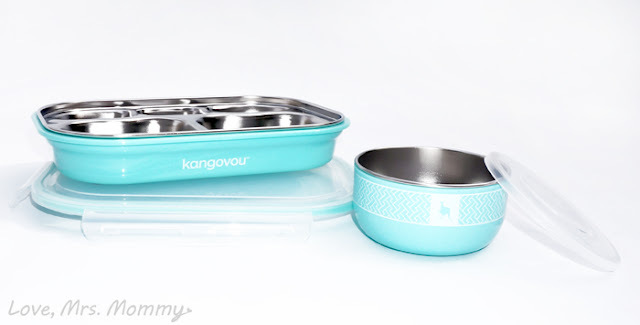 Kangovou has created a versatile kid’s dishware set that is made of high quality food-grade stainless steel, free of BPA, PVC, phthalates, lead and melamine. You can purchase their items separately or as a complete set and I love the fact that their products are also ethically manufactured and reasonably priced. Bonus! All Kangovou dishware has 18/8 food grade stainless steel inserts that are non-toxic and non-leaching and safe for food usage and storage. Plus, they are stain and rust resistant, free of lead and all parts can be washed in the dishwasher. You have to love that! Their dishware comes in four beautiful colors: Frosted Blueberry, Peaches and Cream, Iced Mint, and Lemon Zest. Mix and match, or get all of one color. A cute thing to do, if you have more than one child, would be to let each child pick out what color they liked best and that item (or set) can be their personal dishware. Everyone loves something that is specifically theirs. Not only are their pieces perfect for home use, but with their handy lids, they make the perfect accessory for travel! 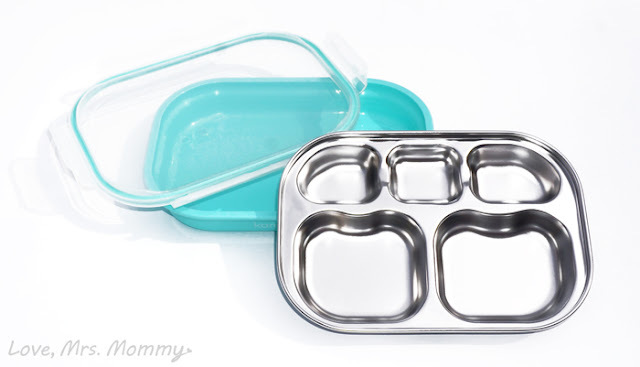 I received the Compartment Plate and Snack Bowl, in stunning Iced Mint, and I can absolutely see us using these when we are away from home. The Compartment Plate has five different compartments, perfect for keeping your child’s food separate and easily portioned. My sweetheart loves how everything is separate and how she can pick and choose what order she wants to eat her food in. Plus, with its handy four-side snap down lid, your food will be safely stored in the refrigerator, or on the go. The Snack Bowl is great for fruit, yogurt, crackers and more. My daughter always asks for her bowl whenever it’s snack time. Whether she is sitting in her high chair, or on her Elmo couch for her afternoon snack, this bowl is her go-to choice. She loves it! Kangovou has made dishware not only safe to use, but gorgeous in the process! Their set is durable, timeless, elegant and something that will stand the test of time. I believe this set would be perfect to pass down to the next generation when the time comes. How amazing would it be to see these safe products in use again with the newest member of your family. The wonderful memories would come flooding back. Connect: Find out more about Kangovou by visiting their website. Then make sure you “like” them on Facebook and follow them on Twitter. Buy It: You can purchase these items and more on their website. Wow!! I would love to own a few of these! One for each of us would be ideal! Great review, thanks for sharing!